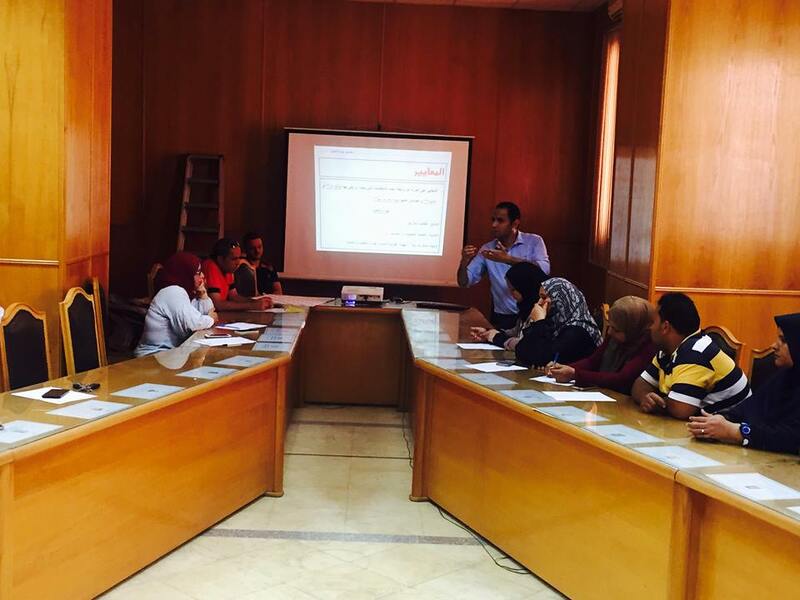 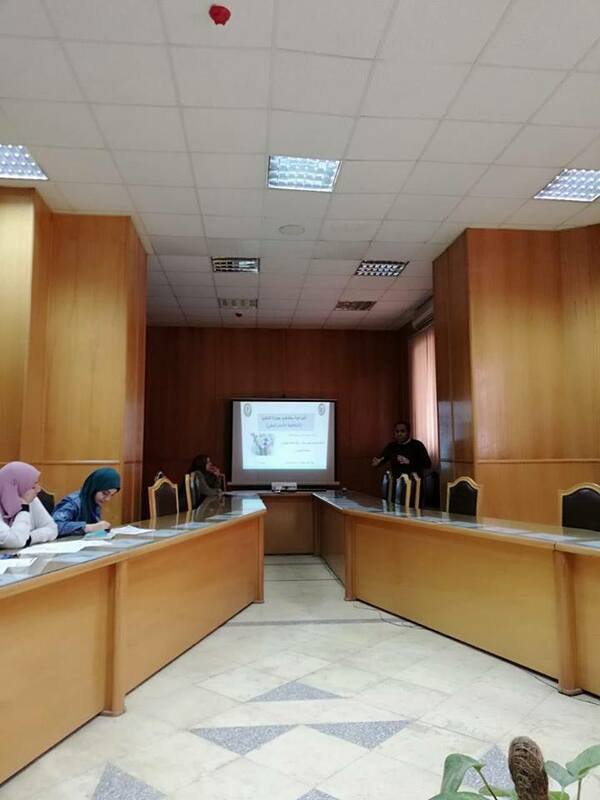 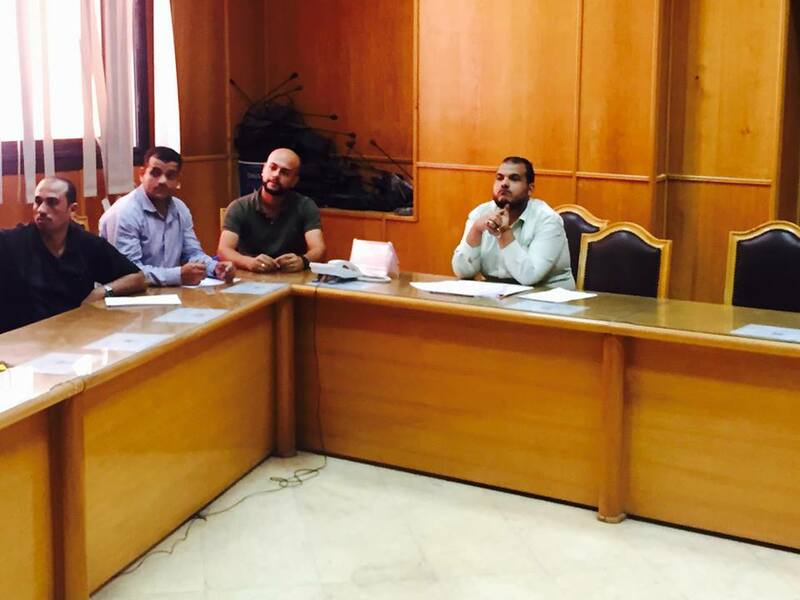 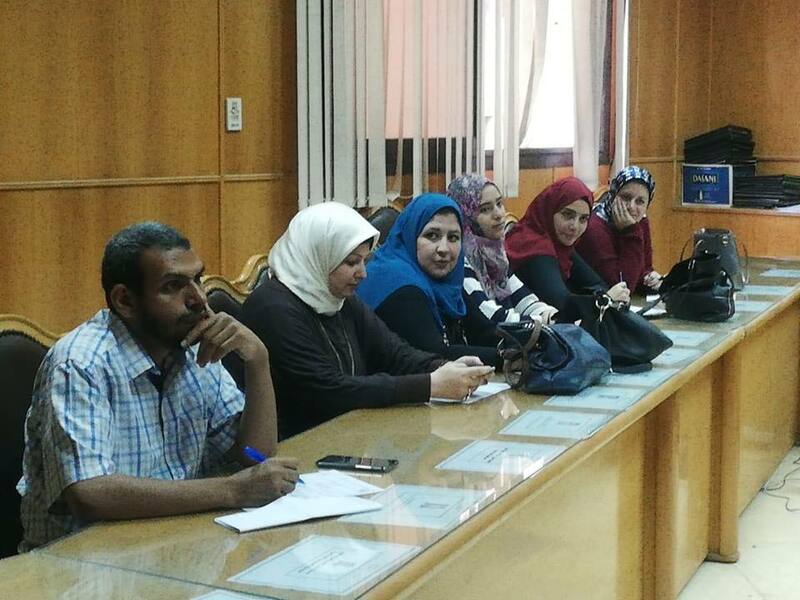 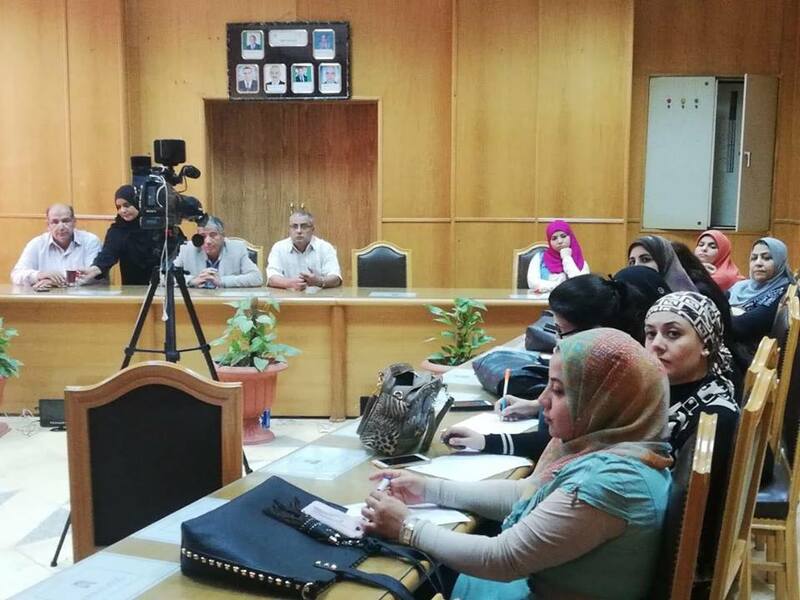 The Quality Assurance Unit at the Faculty of Veterinary Medicine under the auspices of Prof. Dr. Nabil Abu Haikal, Dean of the Faculty of Veterinary Medicine, organized a workshop to raise awareness of the students of the bachelor's degree on intellectual property rights on 9 November 2018 . 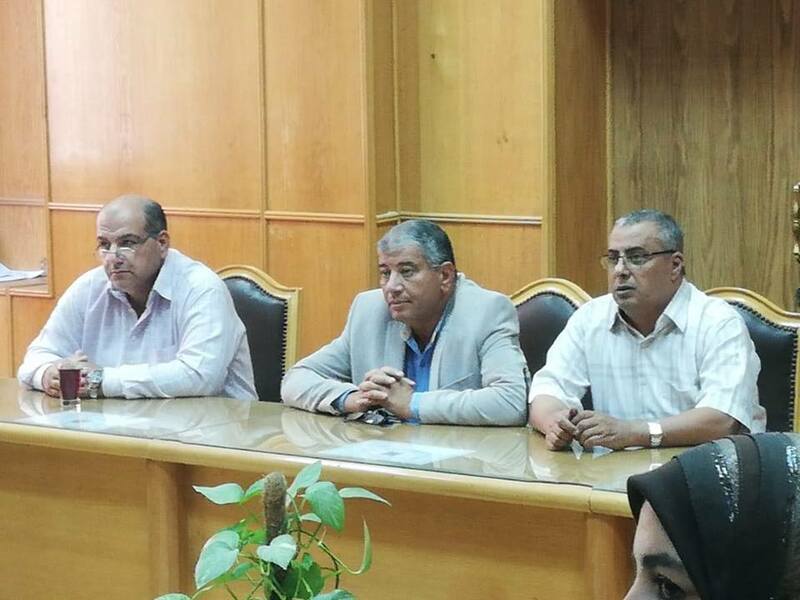 The workshop was inaugurated by Prof. Dr. Nabil Abu Heikal - Dean of the College, Dr. Galal El-Sayed- Vice Dean of the faculty, and Dr. Sami Zaabal - Director of Quality Assurance Unit. 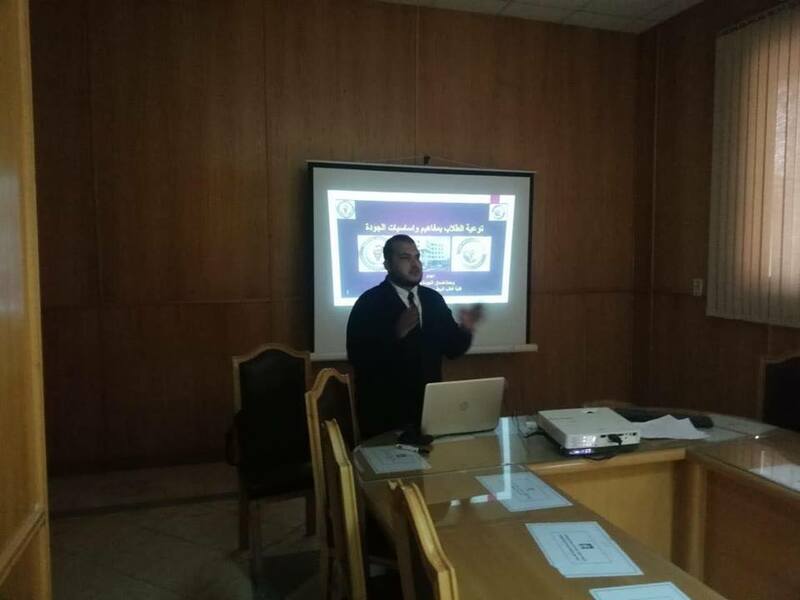 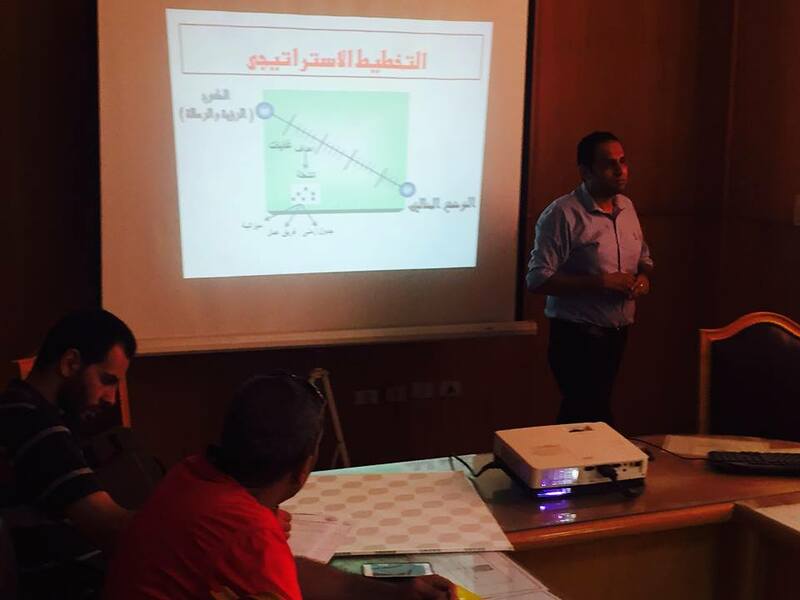 The Quality Assurance Unit at the Faculty of Veterinary Medicine under the auspices of Prof. Dr. Nabil Abu Haikal, Dean of the Faculty of Veterinary Medicine, organized a workshop to raise the awareness of the undergraduate students about the concepts of quality, vision and mission of the faculty as well as the concepts of strategic planning and its requirements on November 7, 2018 . 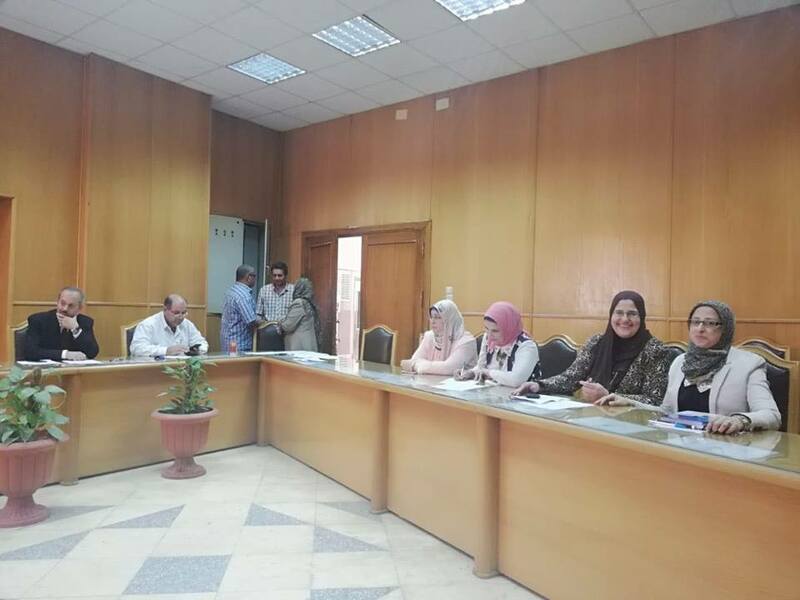 The workshop was inaugurated by Prof. Dr. Nabil Abu Heikal - Dean of the College, Dr. Galal El-Sayed- Vice Dean of the faculty, and Dr. Sami Zaabal - Director of Quality Assurance Unit. 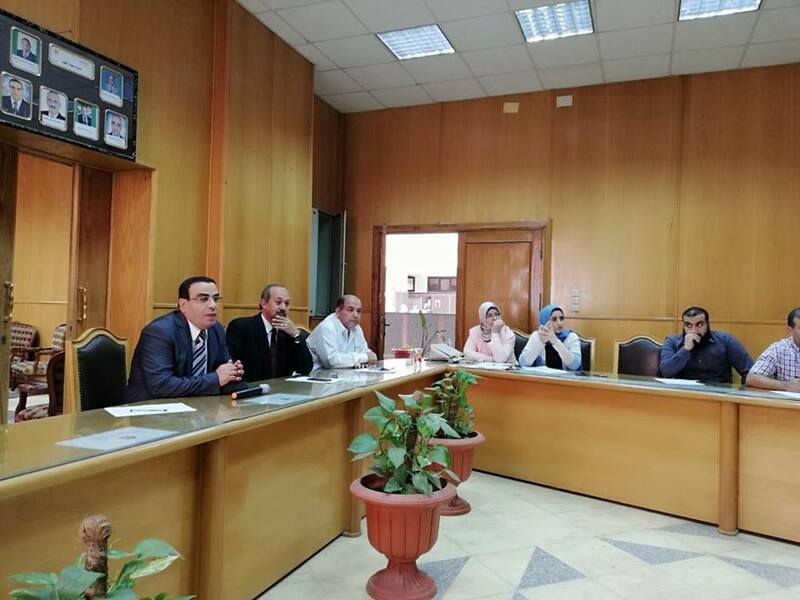 The Quality Assurance Unit at the Faculty of Veterinary Medicine under the auspices of Prof. Dr. Nabil Abu Haikal, Dean of the Faculty of Veterinary Medicine, organized a workshop to raise the awareness of the faculty Staff about the concepts of quality, vision and mission of the faculty as well as the concepts of strategic planning and its requirements on November 6, 2018 . 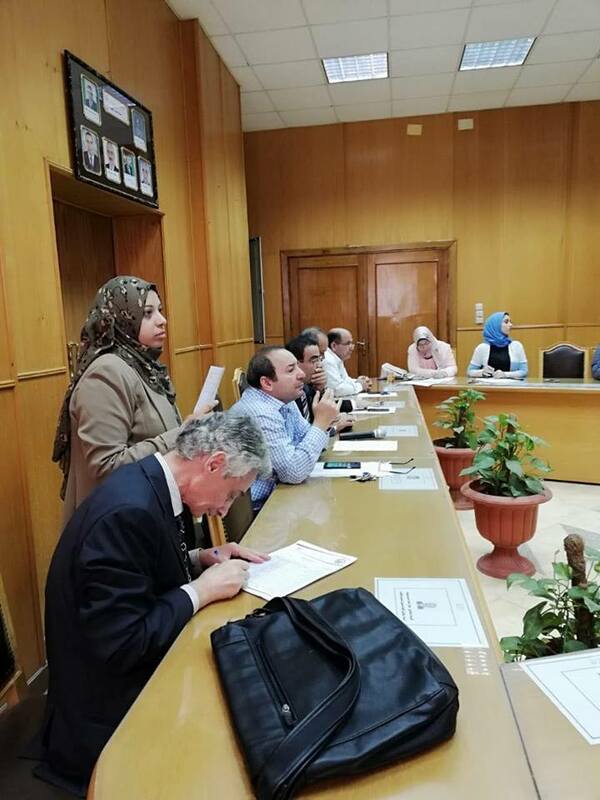 The workshop was inaugurated by Prof. Dr. Nabil Abu Heikal - Dean of the College, Dr. Adel Eltabey- Vice dean of the faculty, Dr. Galal El-Sayed- Vice Dean of theb faculty, Dr. Gehad Ramadan, Vice Dean of the faculty and Dr. Sami Zaabal - Director of Quality Assurance Unit. 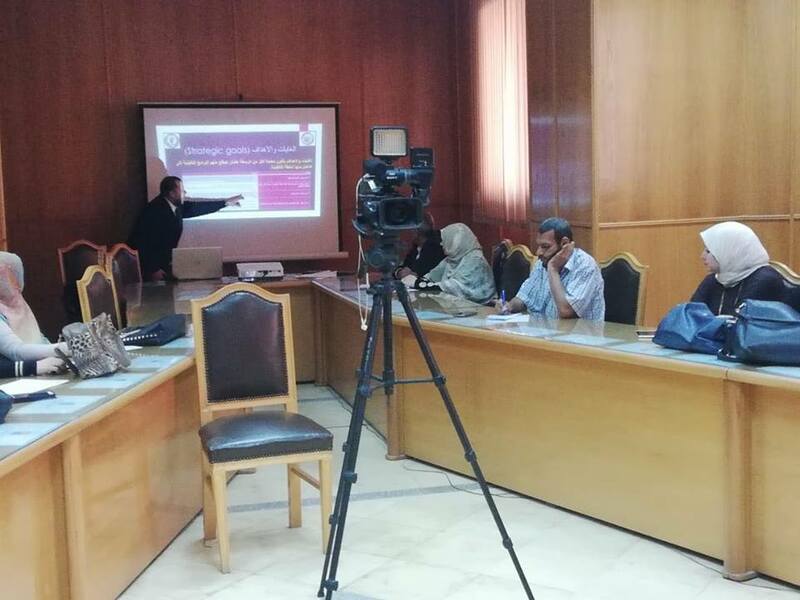 The Quality Assurance Unit at the Faculty of Veterinary Medicine under the auspices of Prof. Dr. Nabil Abu Haikal, Dean of the Faculty of Veterinary Medicine, organized a workshop to raise the awareness of the different society stakeholders about the concepts of quality, vision and mission of the faculty as well as the concepts of strategic planning and its requirements on November 5, 2018 . 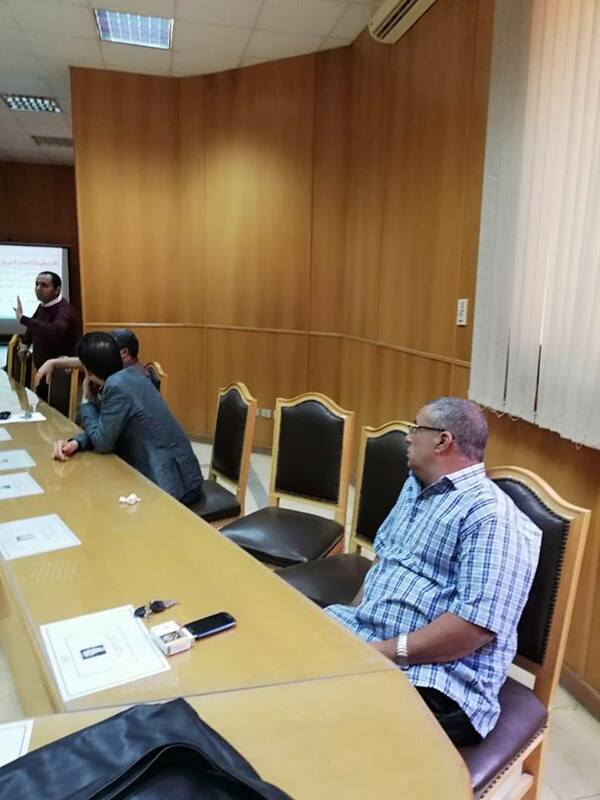 The workshop was inaugurated by Prof. Dr. Nabil Abu Heikal - Dean of the College, Dr. Adel Eltabey- Vice dean of the faculty, Dr. Galal El-Sayed- Vice Dean of theb faculty, Dr. Gehad Ramadan, Vice Dean of the faculty and Dr. Sami Zaabal - Director of Quality Assurance Unit. 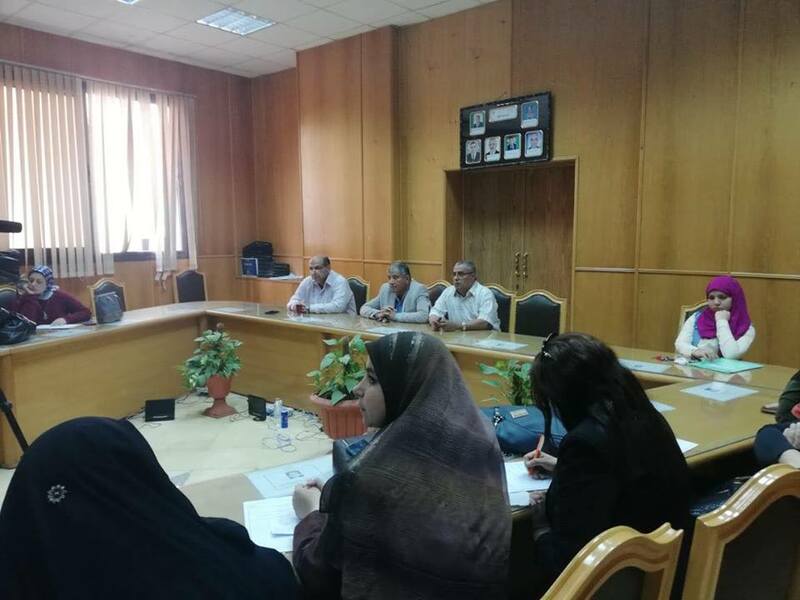 The Quality Assurance Unit at the Faculty of Veterinary Medicine under the auspices of Prof. Dr. Nabil Abu Haikal, Dean of the Faculty of Veterinary Medicine, organized a workshop to raise the awareness of the faculty employees about the concepts of quality, vision and mission of the faculty as well as the concepts of strategic planning and its requirements on September 5, 2018 . 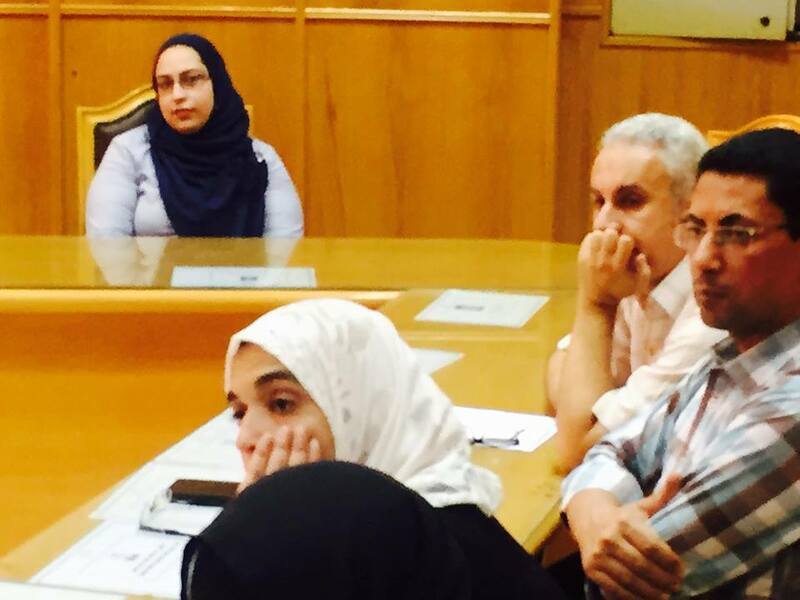 The workshop was inaugurated by Prof. Dr. Nabil Abu Heikal - Dean of the College and Dr. Sami Zaabal - Director of Quality Assurance Unit.